During my college days, I came across this monthly newsletter by an organization called The Christophers. The newsletters were entitled Christophers News Notes. Indeed I have learned a great deal from all their small brochure-like news notes. I still remember one of the news notes entitled ” Saying it with love” . 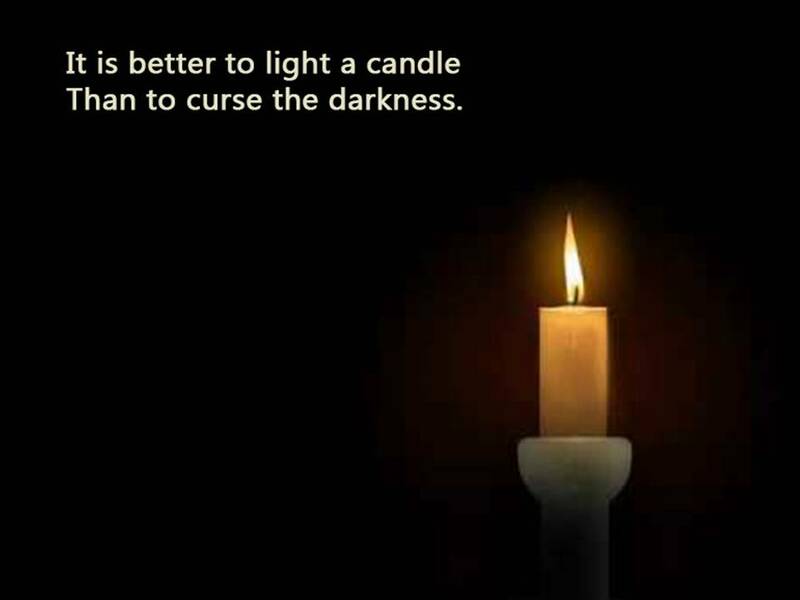 And the motto of The Christophers is ” It is better to light a candle than to curse the darkness”.